When done correctly, gardening can bring lots of wealth ranging from bounty harvest to peace and satisfaction. In addition to giving you an opportunity to grow your crops, this exercise packs many health benefits for the gardener. Whether gardening in the backyard vegetable garden, a small patio planter, or in a community garden somewhere, the interactive health and healing benefits are remarkable. This could be the reason why more and more gardens are cropping up in hospitals, prisons, community centers for the homeless, nursing homes, and at-risk youth centers. Gardening brings out the deep sense of well-being and connection to nature, and especially when pruning and weeding. Outlined below are some of the health benefits you get from gardening. According to a study conducted in the Netherlands on the effects of gardening on one’s health, researchers were able to determine that gardening helps lower a person’s stress levels. The study was conducted on a group of students who would garden for at least 30 minutes in a day, while the other group would remain indoors studying. Add a water feature for even more impact, see this guidebook on outdoor fountains for details. From the study, the gardening students recorded better moods and had significantly lower levels of Cortisol (a stress hormone) as compared to those studying indoors. From the study, the researchers were also able to confirm that elevated cortisol levels (chronic) can lead to certain health conditions such as heart disease, cognitive problems, memory loss, obesity, and low immunity. Gardening also helps boost a person’s self-esteem as the results are tangible. Gardening can be labor-intensive at times. The need to move around while weeding, watering plants or pruning gives you at least 2.5 hours of moderate-intensity exercise in a week. Unlike a treadmill where you only workout with the machine, gardening lets you engage with nature, making you engage almost all muscles of the body. The moderate-intensity exercise you get from gardening helps burn excess fats from the arteries which again keeps your heart in check. Seniors who engage in gardening activities also get more exercise hence have a reduced risk of stroke as compared to those that don’t. Exposing your limbs to just 10 minutes of sunshine (while gardening) every day gives your body enough Vitamin D, which also helps reduce the risk of various cancers, osteoporosis, and heart disease. Regular exercise is particularly crucial and especially where your heart health is an issue. Gardening gives you an opportunity to exercise without pushing your body too far. You even get to enjoy the fruits during the harvesting time. In addition to this, gardening lets your mind wander away from daily stresses of life. Leading a sedentary life only hurts your health. While we may blame it on age, lack of regular exercise is one of the causes of diminishing hand strength and dexterity. Gardening however enables you to keep working those hand muscles, thus making it possible to tackle possible yet pleasurable activities. This can be confirmed by physiotherapists who recommend gardening and other lightweight activities for stroke patients in rehabilitation programs. The best thing with gardening is that you can never push your body beyond what you can do, neither do you strain your tendons. 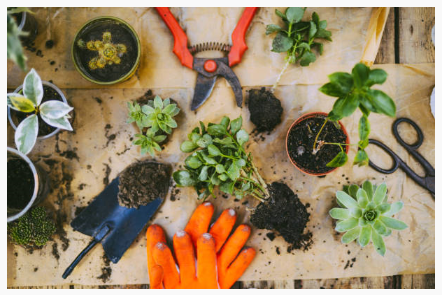 Those with tendonitis, repetitive stress injuries and the carpal tunnel should, however, consider doing a few warm-ups before taking on gardening. Warm-ups help position your body ergonomically and comfortably for the changing tasks while gardening, which again reduces strain on the same. Although it may seem like a simple exercise, gardening does help maintain your hand strength and cognitive functions as well. According to research, gardening daily reduces the risk of contracting brain-related conditions, and especially dementia by up to 36%. This is according to a long-term study conducted on 3000 adults over a period of 16 years. From the study, active gardeners from the group showed a remarkable reduction in the incidence of dementia by up to 36%. Although other conditions such as Alzheimer’s may be poorly understood, the researchers believe being active in gardening can help the severity of the condition. This is mainly due to the fact that it helps boost most of our critical functions including problem-solving, endurance, learning, dexterity, strength, and sensory awareness. Working in the garden, even for 30 minutes in a day, gives your body enough exposure to get vitamin D. vitamin D is essentially needed for proper functioning of cells, and improved immunity as well. Although you may not have noticed this, individuals who take care of their gardens, interact with nature and even get dirty weeding their gardens are less vulnerable to common colds and flu. This is because they are exposed to Mycobacterium vaccae, a soil bacteria commonly absorbed by vegetables. This bacteria helps alleviate symptoms of psoriasis, asthma and common forms of allergies. Just like the good bacteria found in the gut, mycobacterium is good to the body as it contributes greatly to improved immune response and alleviates depression. For many people, gardening in the morning or late in the evening gives one a ‘lift’ they never experience doing anything else. Breaking the morning sweat in the garden tending to radishes, lettuces, and spinach gives your mind an extra boost, which not only helps more blood flow into the brain but also stimulates cognitive functions. The other good thing with gardening in the morning is that the morning sweat calls for a warm hot bath or sauna, which also helps elevate your body temperature. This could be refreshing and especially if you had a busy day previously. In addition to this, many people find themselves drinking some water in the morning just before heading to work. Gardening in the morning and drinking water in the morning kick starts your day in a good mood which lasts the entire day. Starting your day with positivity means you get to tackle stressing moments with ease, which also reduces depression and stress in the workplace. If you haven’t started gardening yet, you could start with a small flower garden then take it from there. 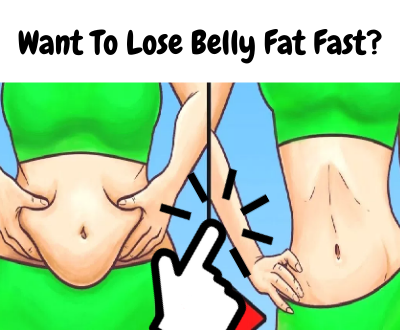 You will be surprised at the numerous benefits this has. Why Less Space is not a Limiting Factor in Herbs Gardening?